Motion Control Products range of high torque NEMA 8 (20mm) hybrid stepper motors are available with a holding torque up to 29mNm. 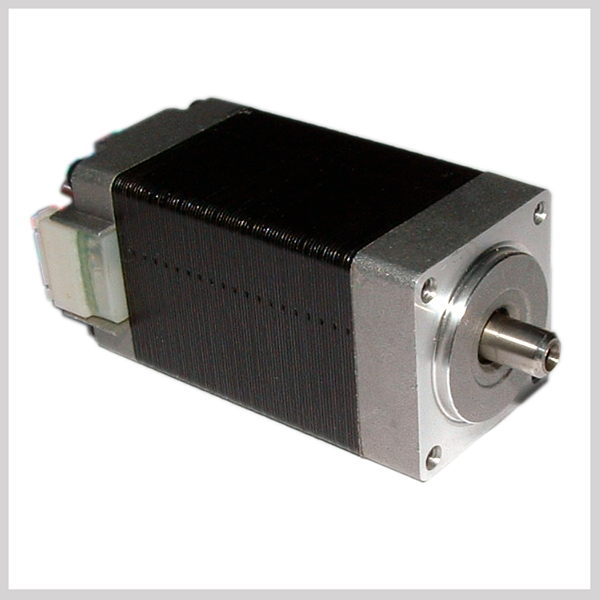 The smallest size hybrid stepper motor we stock. We also supply NEMA 11 (28mm), Nema 16 (39mm), NEMA 17 (42mm), NEMA 23 (57mm) and NEMA 34 (86mm) versions. Typical applications for Nema 8 stepper motors include: Inkjet printers, Analytical devices, Medical instruments, Textile Equipment, Embroidery Machines, Telescope Positioning Systems, Cameras and Robotics. ** Model FL20STH33-0604A-15mm has a 15mm-length output shaft. Its technical specifications are the same as FL20STH33-0604A. For more details, please contact our technical sales team (Tel. : 01202 599922) or fill in the contact form below (at the bottom of the webpage).